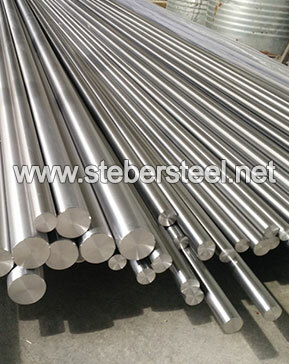 What is 317L Stainless Steel Rod? Stainless Steel 317L Threaded Rod is a continuous length of 317L round bar that has a thread on its external diameter so a nut can be screwed on from either end. Often also referred to as All Thread, Running Thread, Threaded Bar or Studding, 317L Stainless Steel Threaded rod is usually Class 50 Tensile Strength by default. 317L Threaded rod, also known as a stud, is available in a variety of alloys and finishes, including 317L Stainless Steel. Our threaded rod stock is threaded the entire length of the rod/bar, and available in a variety of diameters, thread types and pitches. 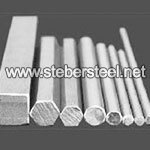 Steber Steel is manufacturer of 317L Stainless Steel Bright Rod in India, we are producing Stainless Steel 317L Rod since 1999. 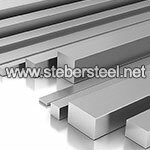 We are ISO 9001 & PED approved exporter of Grade 317L stainless steel Rod in India. We maintain over 800 ton 317L Stainless Steel Hot Rolled Rod in various shape, sizes & coating which makes us one of the largest stockist of 317L Stainless Threaded Rod in India. 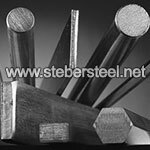 In 1985 Steber Steel was incorporated as a trader of Polished 317L Rod & in 1990 Steber Steel became stocking distributor of UNS S31703 SS 317L Rod & DIN 1.4438 SUS 317L Rod, later in year 1994 we were recognised as a leading distributor of Steel 317L Rods, Hot Forming Rod, Cold Forming Rod,Cold Rolled Rod in India. Further we started stocking 317L Stainless Steel Cold Rolled Rod of other manufacturers of Inox 317L Stainless Steel Rod. 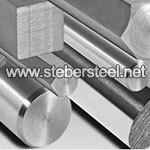 Steber Steel became largest stockist of Cold-finished 317L Stainless Steel Rod. 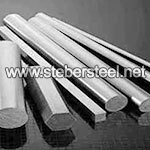 Currently we have India’s largest inventory of SS 317L Polish Rod, SS UNS S31703 Forged Rod for fasteners, bars, bright , Drawn, ground, hexagonal, peeled, rolled , round , square at our Mill in Mumbai, Maharashtra as per international standards of ASTM A276/A484 or A582/A484M. 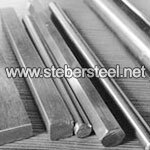 Steber Steel is only Supplier in India who maintains Stainless Steel 317L Forged Rod in 0.5mm to 5.0 mm in width of 1000mm, 1250mm, 1500mm, 2000mm, 2500mm size range etc. Our researched inventory of 317L Stainless Steel Rod in India enable us for prompt delivery to countries like Dubai, Ras Al Khaimah, UAE, Kuwait, Qatar, Saudi Arabia, Turkey, Israel, Iraq, Iran, Oman, Bahrain, Nigeria, Kenya, Mozambique, South & West Africa, Indonesia, Malaysia, Singapore, Thailand & Philippines in any emergency or industrial break down. We can offer AISI 317L Threaded Rod at dealer price which helps us to prove one of the best stockholder of Stainless Steel 317L Polished Rod in India. 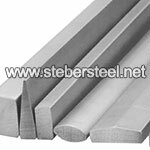 At Steber Steel we have special offer on surplus stock of Mill Finish 317L Stainlesss Steel Rod. SS 317L Rod Packing: We focus on every procedure to assure quality, the package we usually take is pack WNR 1.4438 Rod with environmental poly bags, and then in free fumigation wooden cases or wooden palte. Also can accept customized package such as OEM by negotiation. 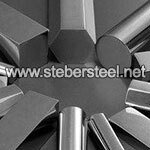 Steber Steel offers just about everything to meet your UNS S31703 Rod pack requirements. Lot of emphasis is placed on the packing and packaging . The AISI 317L Rod are packed in wooden corrugated boxes foiled in plastic wraps and bubble wraps. We mark the INOX 317L Rod as needed with the most suitable marking technique. When packaging and packing, our experienced warehouse staff systematically takes the greatest precautions for your Alloy 317L Rod to be optimally protected during transportation. We pack the 317L Rod according to the appropriate method: strapped pallet, wooden crate, overseas packing (ISPM15). 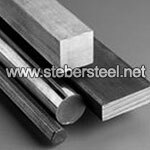 AISI 317L Rod is non-magnetic in the annealed condition and is non-hardenable by heat treatment. Machinability is 39% – 65 surface feet per minute. 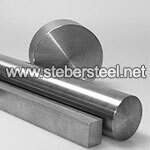 Alloy 317L Rod can be easily welded and processed by standard shop fabrication practices. 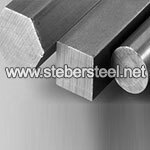 Steber Steel is a leading exporter and distributor of stainless steel 317L Rod, 317L stainless steel round Rod in India and international markets such as Malaysia, Iran, Germany, UK, Canada, UAE, Bahrain, Indonesia, Mexico, Chile, Brazil, Peru, Nigeria, Kuwait, Jordan, Thailand (Bangkok), Saudi Arabia, Venezuela, Russia, Turkey, Australia, New Zealand, Sri Lanka, Vietnam, South Africa, Kazakhstan. A widest range of SS 317L Rod ready stock available in Middle East countries including Bahrain, Iraq, Israel, Jordan, Cyprus, Egypt, Iran, Kuwait, Lebanon, Oman, Saudi Arabia, Syria, Turkey, United Arab Emirates, Palestine, Qatar and Yemen. We offer the best selection of SS 317L Rod supplies at the lowest prices in Mumbai, Bengaluru, Chennai, Ahmedabad, Pune, Dubai, Bangkok, Navi Mumbai, Kuala Lumpur, Jakarta, Singapore, Houston, New Delhi, Ashburn, Seoul, Hyderabad, Doha, Riyadh, Tehran, Abu Dhabi, London, Kolkata, Ho Chi Minh City, Lagos, Vadodara, Beijing, Istanbul, Gurgaon, Jeddah, Pimpri-Chinchwad, Dammam, Calgary, Sydney, Surabaya, Karachi, Melbourne, Lahore, Noida, Busan, Mexico City, Sharjah, Perth, Madrid, Shanghai, New York, Jaipur, Chandigarh, Johor Bahru, Cairo, Hong Kong, Indore, Al Jubail, Thane, Warsaw, Coimbatore, Shah Alam, Hanoi, Quezon City, Puchong, Sao Paulo, Santiago, Lucknow, Petaling Jaya, Vung Tau, Brisbane, Chicago, Bogota, Foshan, Yokohama, Ajman, Damietta, Buenos Aires, Montreal, La Victoria, Kochi, Makati, Moscow, Wenzhou, Toronto, Changsha, Chiyoda, Los Angeles, Cangzhou, Rio de Janeiro, Bekasi, Ulsan, Rawalpindi, Dallas, Medan and Manama. We have worldwide distributor network to supply ASME SA 276/479 Stainless Steel 317L Rod which help you to find the nearest & right Stainless Steel 317L Bright Rod distributor near you, India’s Prominent manufacturer of ASTM A276 317L Rod. 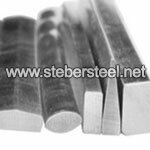 We maintain bulk stock of SA276 317L Rod. 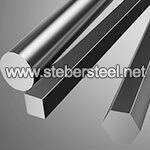 Stainless Steel Cold rolled Rod grade 317L manufacturer. 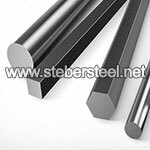 Supplier & distributor of Alloy 317L Rod globally in cut to size. 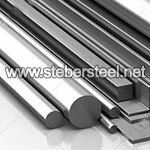 We have a large inventory 317L Rod, UNS S31703 Rod, Stainless Steel 317L Black Rod, Steel 317L Rod. 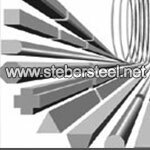 We have extended our stock program for you: austenitic stainless steel Rod in grade 317L/1.4438, available from stock.